Facts: Whether or not GTA V coming to PS4 and Xbox 720? Rockstar Games has officially confirmed GTA V for release on September 17, 2013 only for Xbox 360 and PS3. The release date was shifted from initial Spring 2013 to just ahead of holiday season launch of Sony's next-generation Playstation console PS4 and presumably Microsoft's next-gen Xbox. This left many fans wondering whether Rockstar Games and Take-Two are planning to release next-generation version of GTA V for PS4 and next-gen Xbox. We have no official confirmation yet on next-gen availability of GTA V. But here are few facts and hints that states that GTA V is indeed coming to PS4 and next-gen Xbox. This scenario comes into consideration if and only if there is PC version of GTA V in development (going by the track record of Rockstar, PC port of GTA V is expected to arrive few months after its consoles counterpart). The specification of PS4 is very much close to modern day gaming PC (CPU : x86-64 AMD “Jaguar”, 8 cores, GPU : 1.84 TFLOPS, AMD and 8GB DDR5 RAM), and so PC version of GTA V will be easier and the best version for Rockstar to port on PS4 as opposed to PS3 version. This will reliable for everyone (Rockstar, Take-Two and fans), as it will save time and money (for dev and publisher duo) and fans will get best version of GTA V to play on next-gen consoles. On Jan 31, Rockstar Games announced release delay of GTA V citing "polishing" as the reason behind it, and on February 20, Sony officially announced their next-generation Playstation console, PS4. Both these announcement happened side-by-side to each other and left gaming industry (including fans, gta community, industry professional and analyst) stunned. Numerous theories and analyst predictions started to appear on internet stating that the actual reason behind GTA V delay (from Spring 2013 to September 2013) is not polishing but next-generation port of GTA V for PS4 and next-gen Xbox. With E3 2013 just around the corner, who knows what Rockstar Games have in store for all of us. Just keeping my finger crossed and hoping for the best. Admist all fan theories and analyst predictions related to GTA V for PS4 and next-gen Xbox comes a bold statement from Take-Two CEO Strauss Zelnick: "There is not one gamer who is going to sit out of GTA V hoping for something that is going to come along down the road that’s better"
This clearly indicated that there are (currently) no plans for next-gen GTA V.
A little look back at the history make matter worst for next-gen GTA V, because this isn't a first time a GTA game is releasing just few months before a new console launch. GTA: San Andreas launched on Xbox just few months ahead of Xbox 360 launch, and then we saw a next-gen GTA game in 2008. 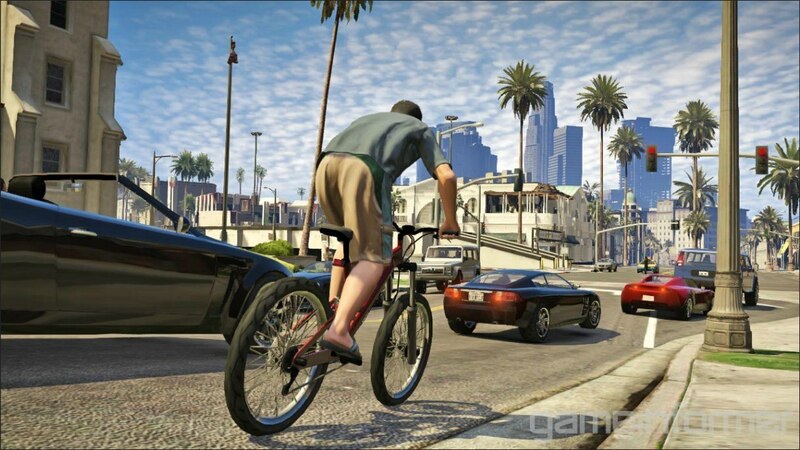 Let us know in the comment section below, would you guys like to see GTA V on PS4 and next-gen Xbox?